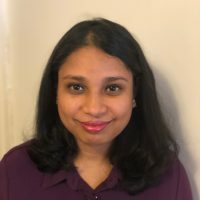 Radha Nagaraja is the Director of Software Development at the National September 11 Memorial and Museum (aka 911 Memorial & Museum) located at the World Trade Center in NYC. She joined the organization in 2010 and currently manages the hosting, development and support operations of the organization’s main website (911memorial.org). In addition, she works closely with the Product, Business, and vendor groups and manages other siloed web properties and the day-to-day operations that includes feature enhancements and any bug fixes of the In-Museum exhibits. Radha also manages the Business Intelligence reporting platform that is fully managed and configured in-house. The platform caters to the reporting needs of the organization and automated tasks have been set up to send out daily, weekly, and monthly overall performance and revenue reports to the Senior Management. Radha has a Masters in Computer Science from the City University of New York and lives in NYC with her husband and two kids.